There’s no need to stress if the foundation of your Towson, Maryland, home starts to crack or allow water leakage, because Allmaster Home Services can provide you with a foundation repair that will make it like new again. Not only are we a veteran- and family-owned and -operated business, but we are homeowners ourselves, so we understand the importance of having a repair done properly. Our staff will treat you like one of our own and make sure you are satisfied with the final product. At Allmaster Home Services, our philosophy is to treat every foundation repair like it’s unique – because it is. Unlike some businesses who offer you a cookie-cutter service to fix your foundation, Allmaster takes the time to inspect your home to target the issue and formulate a specific solution. Best of all, we do an initial inspection and in-home presentation all free of charge. Additionally, we are also a proud distributor of the Rhino Carbon Fiber® Wall Supports System that works to repair bowed foundation walls by linking the foundation base to the house framing. 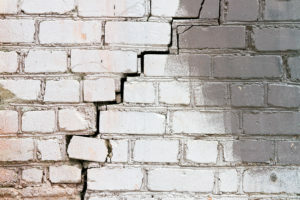 To learn more about the foundation repair services we provide to residents in Towson, MD, and surrounding communities, contact Allmaster Home Services today.